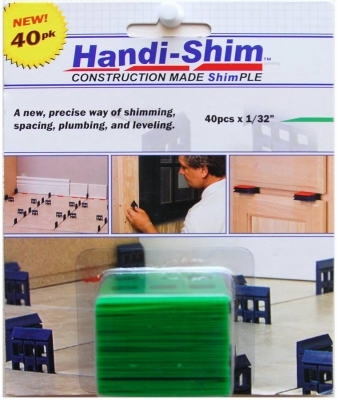 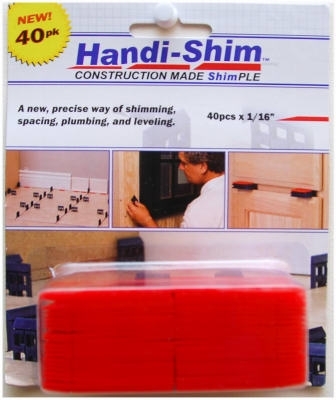 Handi-Shim Construction Shim, Red, 1/16-In., 40-Ct.
Handi-Shim Construction Shim, Blue, 1/4-In., 40-Ct.
Handi-Shim Construction Shim, Green, 1/32-In., 40-Ct. 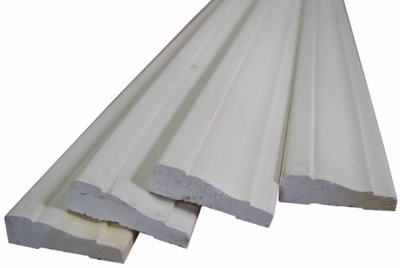 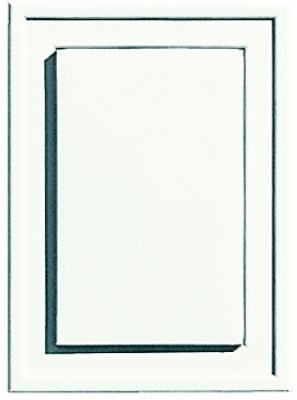 Trim Block Moulding, Corner Base, Pine, 4.5 x 2.75 x 1-In. 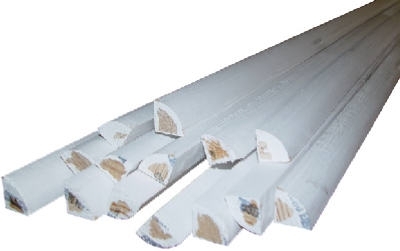 Trim Block Moulding, Corner Base, Pine, 6 x 3.75 x 1-In. 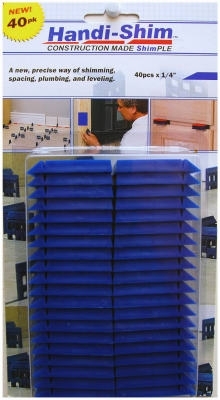 Trim Block Moulding, Corner Base, Oak, 6 x 3.75 x 1-In. 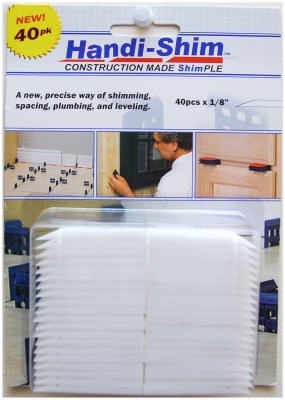 Wood Snapping Shim, 3/8 x 1-3/8 x 12-In., 42-Pk. 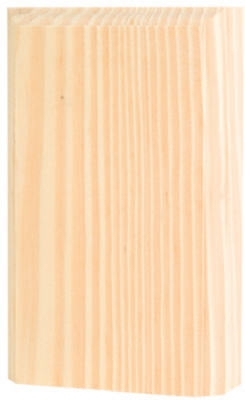 Trim Block Moulding, Corner Inside Base, Pine, 4.5 x 1.1 x 1.1-In. 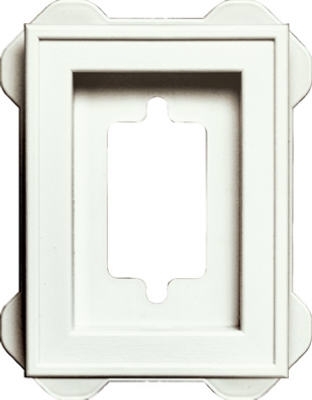 Trim Block Moulding, Inside Base, Pine, 6.5 x 1.1 x 1.1-In. 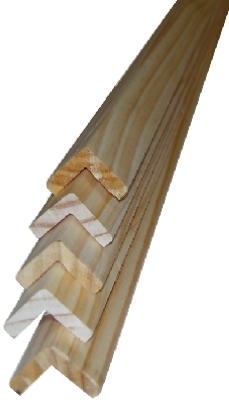 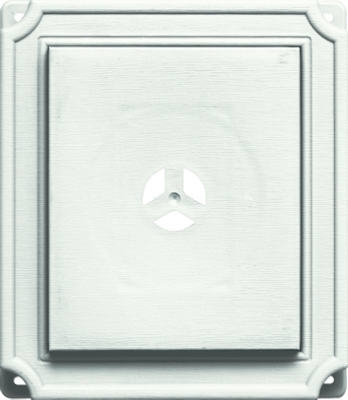 Trim Block Moulding, Inside Crown, Pine, 6.75 x 3.25 x 3.25-In. 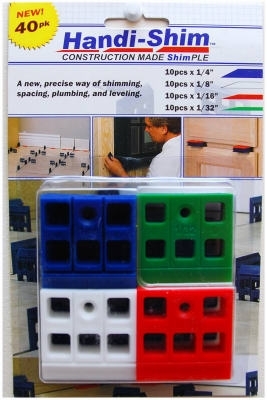 Solid Pine Moulding, Outside Corner, 1-5/16 x 1-5/16-In. 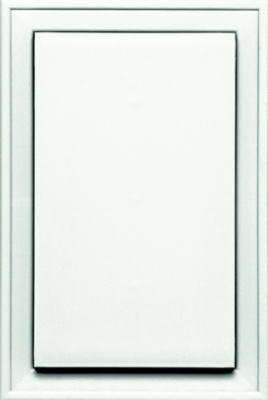 x 8-Ft. 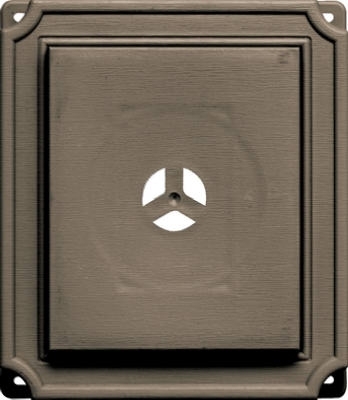 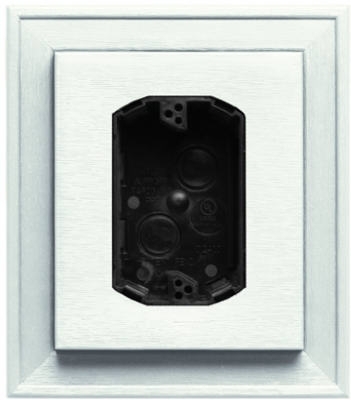 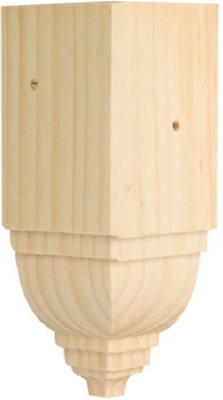 Trim Block Moulding, Outside Base, Pine, 4.5 x 1.1 x 1.1-In.